A Rapid Palatal Expander (RPE) is an upper appliance that places pressure on the upper jaw (maxilla) by turning a midline screw. The pressure separates the mid palatal suture thus making the maxilla wider, which can correct crossbites and creat space. RPEs are used often to correct posterior crossbites. When is an palatal expander needed? We correct posterior crossbites as soon as we see them because we can obtain more room for other unerupted teeth. Also, a posterior crossbite, if it’s only on one side, can cause the lower jaw to grow asymmetrically to that side. Therefore, correction of a posterior crossbite helps prevent asymmetrical growth of the lower jaw. Since we are separating a mid palatal suture, it is better to do this procedure at a younger age before the palatal suture becomes fused. With adults, the maxilla can be expanded by using an RPE and having surgery performed by an oral surgeon. 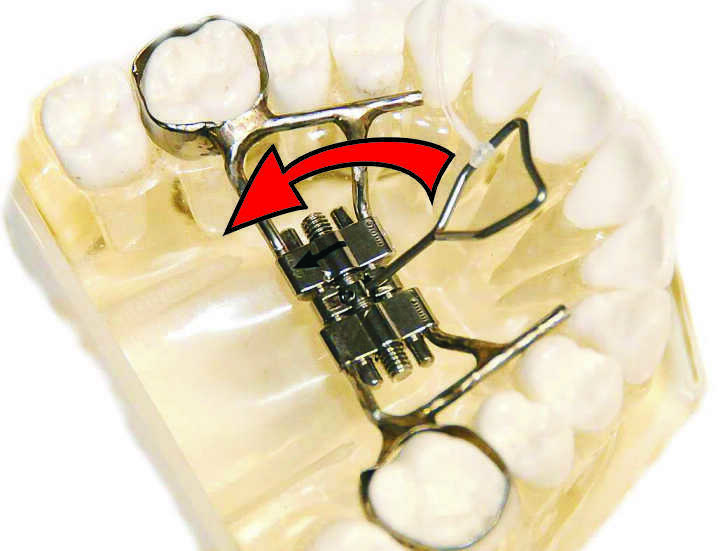 This procedure is called Surgically Assisted Rapid Palatal Expander (SARPE). During the surgery the palatal suture is opened with side releasing incisions and all the expansion is completed at one time. Some orthodontists will have the patient turn the expander after the surgery but most lets the oral surgeon complete the task. How do you turn or activate an expander? Activation of an RPE is done by a parent, guardian or other person. You can’t turn it yourself. The patient is given a small wire that inserts into a small hole in the screw of the expander. I call this wire a key. The key can be fancy with a plastic handle, but I just like the wire type. Have the patient lay down on the bed or couch where there is good light. Then, the patient tilts their head back so that the RPE can be seen clearly. Make sure that a string of floss is attached on the key so it doesn’t go down the patient’s throat. Hold the key with two fingers. Place the wire (Key) into the front hole of the rapid palatal expander and then rotate it to the back of the mouth until it stops. Pull the key out towards the back of the mouth. You should now be able to see a new hole in the front for your next turn. If you do not turn the screw completely to the back, the new hole in the front may be partially block and the wire won’t go into it when needed. If that’s the case, you have to find the hole in the back of the mouth and complete the turn. We consider that one turn, from front to back. Usually a patient will turn the expander once or twice a day for so many days. Then, you stop turning the expander and have the orthodontist evaluate the width to see if more turns are needed. How long is an rapid palatal expander used? After your orthodontist tells you that you have turned the expander enough, and the crossbite is eliminated, they will leave the RPE in place for about three months. This is so that the palatal suture can be closed with new bone formation and become stable. If an RPE is removed early, some of the width gained could be lost. During the expansion, a space my develop between the central incisors. This is normal and when you stop turning the RPE, the gum tissue between the central incisors will pull the incisors closer together possibly eliminating the new space. What types of palatal expanders are there? There are basically two types of fixed rapid palatal expanders. 1. All the expanders shown here are the Hyrax palatal expanders. The advantage of a Hyrax expander is that the patient can keep it clean. 2. The other type of fixed expander is a tissue borne expander (not shown). This type of expander is sometimes referred to as a Haas expander. This expander has acrylic added to it so that the pressure from the expansion screw is placed on the teeth and the soft tissues of the hard palate. I do not like this type of expansion device because it is very hard to keep clean. 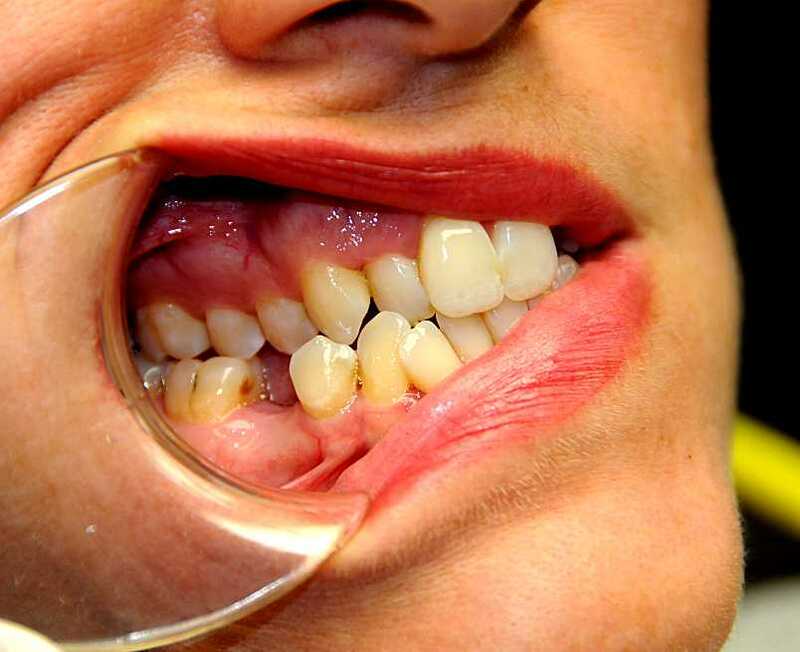 During treatment a large amount of plaque and food gets lodged between the acrylic and the palate. It can’t be removed. The gingival tissue becomes inflamed and swells causing discomfort. The last type of palatal expander is a removable palatal expander. This can be taken in and out of the mouth by the patient. This type of expander is very inefficient and doesn’t achieve bony orthopedic movement, just tipping of the posterior teeth. It is basically a Hawley retainer with an expansion screw in the middle. It can be used in certain circumstances but not for expanding the mid palatal suture. Does a palatal expander hurt? No, it doesn’t hurt. After you turn the expander you will feel pressure. The pressure lasts for about 4 to 5 minutes. The pressure feels like taking your thumb and pushing on your teeth. So an expander is not painful. You will have some pressure after activation for a few minutes and then it dissipates. 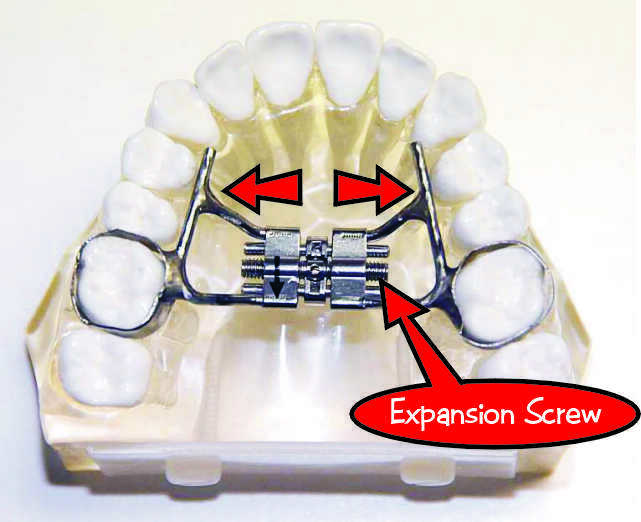 What problems can you have with a Rapid Palatal Expander? The problems you can have with a rapid palatal expander is that one side can come loose. If the molars are tipped toward the checks, an RPE can come off of the tooth during expansion. If the patient likes to wiggle the RPE, it can come loose. After turning the RPE, a patient can get a nose bleed. This is very rare but should be known. Since we are separating the palatal suture, which is the floor of the nose, the patient can get a nose bleed. After the nose bleed is under control, call your orthodontist to get further instructions. Usually after a period of time, the patient can begin to start turning the RPE again. 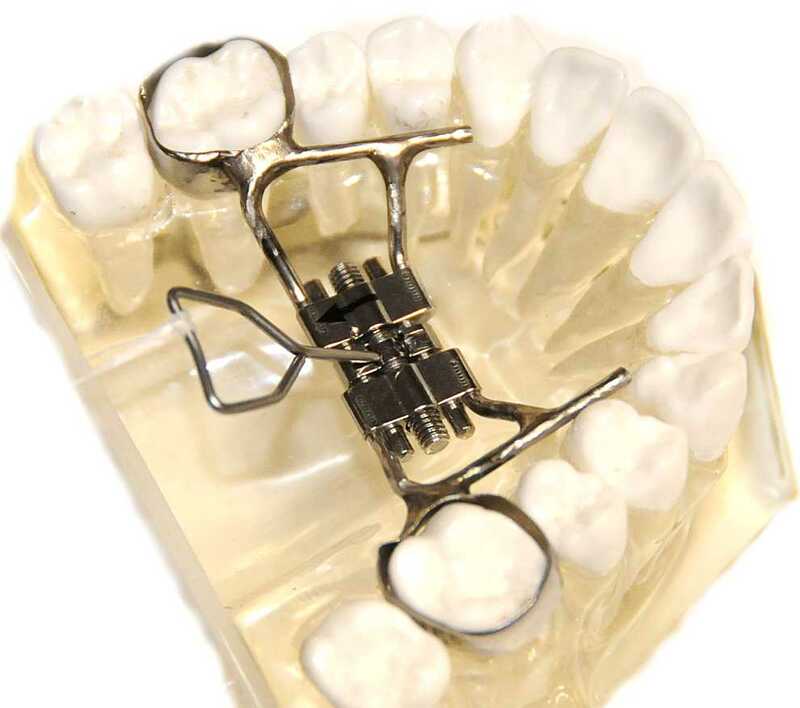 What precautions are there with an expander? There are certain foods that cannot be eaten while an expansion device is in place. This would include sticky and hard foods. 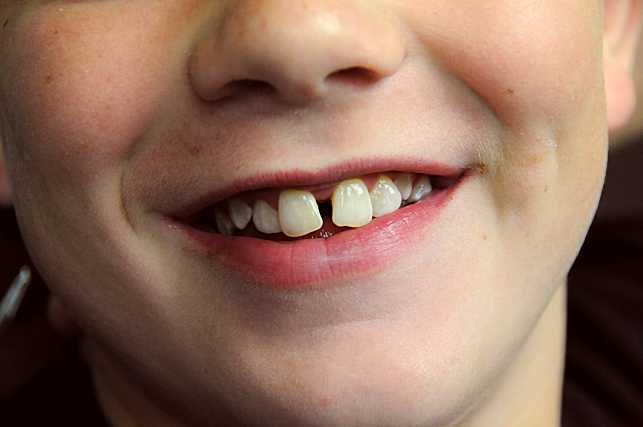 A patient needs to brush the expander when they brush their teeth. Take your toothbrush and brush the middle and sides of the RPE. If a piece of food becomes lodged, try rinsing your mouth with water or use a toothbrush to get rid of it. 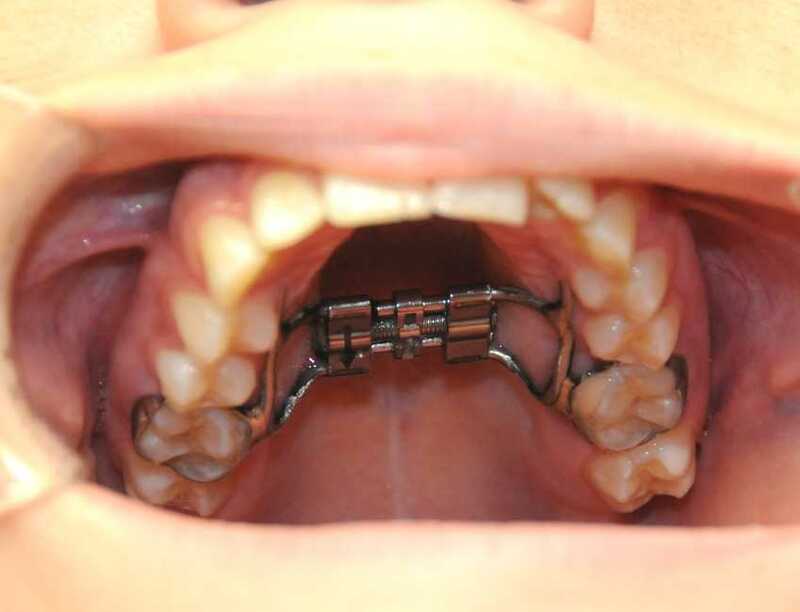 Rapid palatal expanders are used often in orthodontic treatment. RPEs are used to create space, change growth pattern of the lower jaw, and eliminate a posterior crossbite. They are easy to use and a large benefit is gained by using them to create a proper occlusion. ← Previous Previous post: What is a Supernumerary Tooth? Next → Next post: What is Tooth Fusion & Gemination?